"ODIDO", the trader franchise programme coordinated by MAKRO Cash & Carry Poland, addresses the owners of food supermarkets throughout the country. Presently, more than 1, 400 ODIDO stores are already operating nationwide – making it the most dynamically growing franchise network in Poland. "We support the store owners in building up a product range that comprises a specific share of products from the METRO Cash & Carry own brands like Aro or Fine Food. This allows them to benefit from discounts when they shop at the METRO wholesale stores. In addition, we offer them marketing support, for example with the advertising brochures produced by METRO Cash & Carry and with TV campaigns to increase brand awareness. Furthermore, we organise trainings to convey commercial and operational know-how to the store owners", says Gonzalo Echavarria, Head of Target Group Management Trader in corporate Marketing. The range of advisory services is comprehensive. How do I best present my merchandise? Which hygienic rules do I need to observe? How do I handle complaints? Store owners who join the programme do not only receive practical tips but also an optical remodelling of their store – this way, a corner shop turns into a stylish, well-structured mini supermarket offering everything you need for a living on a small floor space. This creates a win-win situation for the small traders and for MAKRO Cash & Carry: the partnership allows the store owners to increase their competitiveness and stand their ground against the growing competition from the discounters while retaining a high degree of freedom and flexibility. MAKRO Cash & Carry in turn increases its average sales volume with this customer group thanks to the cooperation. Both sides also benefit from the fact that a certain share of the ODIDO assortment consists of own brand products. This is because, when compared to the Western European markets for own brands, Poland still offers a large potential for such products. 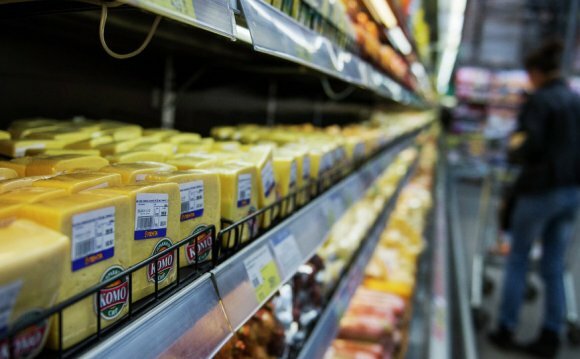 According to the market research expert Nielsen, own brand sales in the Polish food retail sector grew by 20.1% in 2012. The food retail sector as such grew by 6.7% during the same period. In total, own brands accounted for 17% of the food retail volume generated in Poland. Thanks to the own brand products, the store owners can offer their customers excellent value for money. With the franchise concept, the retail company raises the brand awareness and expands the market for its own brands.